The rugby community in BC is saddened by the news that a true legend has passed away. Tony Whitham passed away on June 23rd . Tony was born in 1937 in Halifax, England. His early years were shaped by growing up in working class England during and after the war. His father was killed in action in France shortly prior to the Evacuation at Dunkirk in May 1940. Tony was raised by his widowed mother who helped instill a work ethic and values that Tony was famous for. Upon graduating from Manchester University Tony taught for three years at Highlands Technical Grammar School. In 1963, Tony persuaded his wife that winter could not be much colder in Canada. So Tony and his wife, Kathleen, and young daughter, Jo-Ann, moved to Winnipeg, Manitoba. The Whithams stayed for three years in Winnipeg before moving to BC. Tony taught one year at Princess Margaret Secondary in Surrey. Then Tony made the switch to the growing school district of Coquitlam and taught at Centennial Secondary School from 1967-1973. In 1967 the Whithams were blessed with a second child, a son, named Bob. ABBOTSFORD — It was a match many had predicted would be a blow-out win in favour of the defending champion Shawnigan Lake Stags. Instead, Vancouver’s St. George’s Saints never believed they were underdogs, and in the dying moments, almost had the opportunity to pull an upset of major proportions in the B.C. 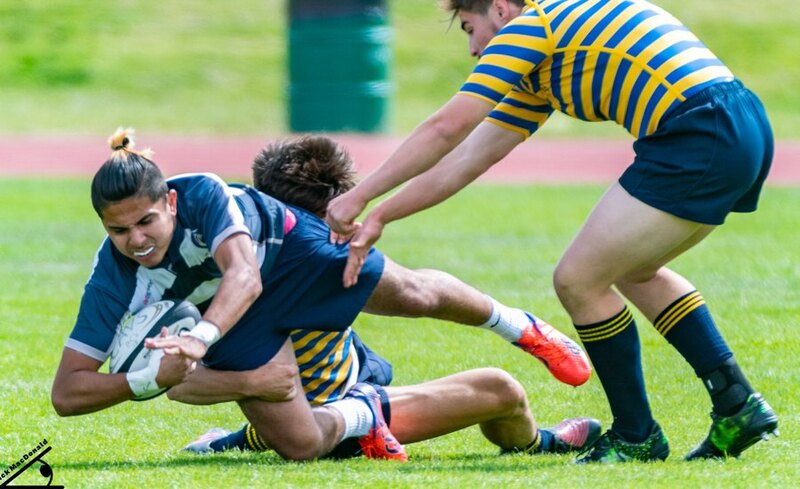 quad-A boys high school rugby championship final Saturday at Abbotsford’s Rotary Stadium. Shawnigan Lake went on to win 12-8, but not before Owen Pitblado of St. George’s chipped the ball through the Stags try-zone with 1:13 remaining, and was just shy of pouncing on it for what would could well have been the game’s winning play. 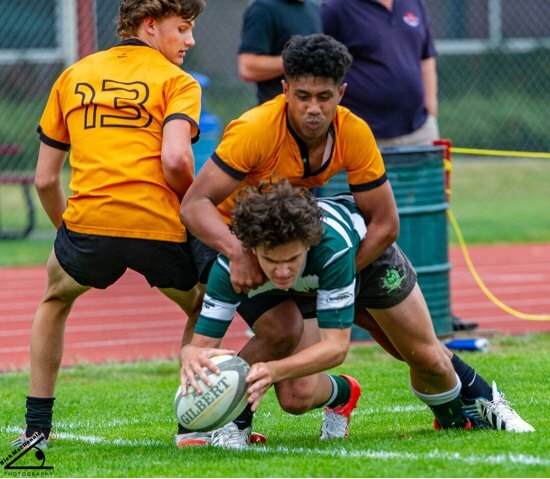 Here’s our look at semifinal Thursday at the BC high school rugby championships at the double-, triple- and quad-A level. The Shawnigan Lake Stags produced a result Thursday in the semifinal of the B.C. high school championships which, based on their recent run of dominance, puts them in perhaps the most unique position in this province’s entire sports history. 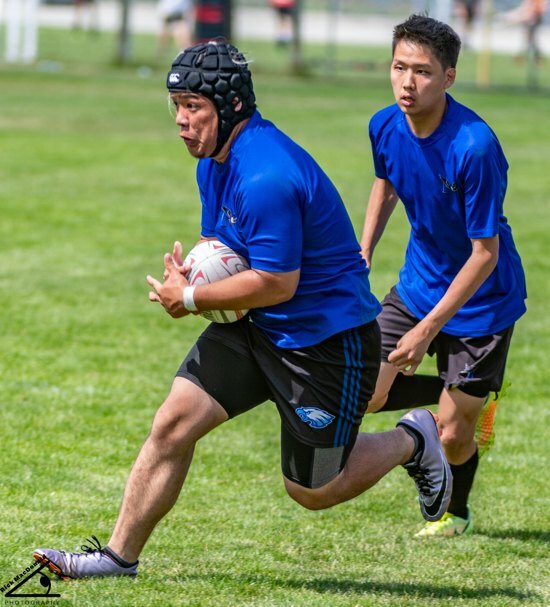 Are the Stags, who beat the Fraser Valley champion Earl Marriott Mariners 102-10 to earn a berth in Saturday’s title game, the first team you can honestly say is so good relative to the rest of the field that the thing they need most, is a higher-level of league to play in? Defending champion Shawnigan, which has won six of the last seven B.C. triple-A titles, will face Vancouver’s St. George’s Saints, 25-10 winners over Victoria’s Oak Bay Barbarians, in Saturday’s final. St. George’s defeated Shawinigan Lake in the 2014 final, the only title-tilt loss by the Stags over their current run. 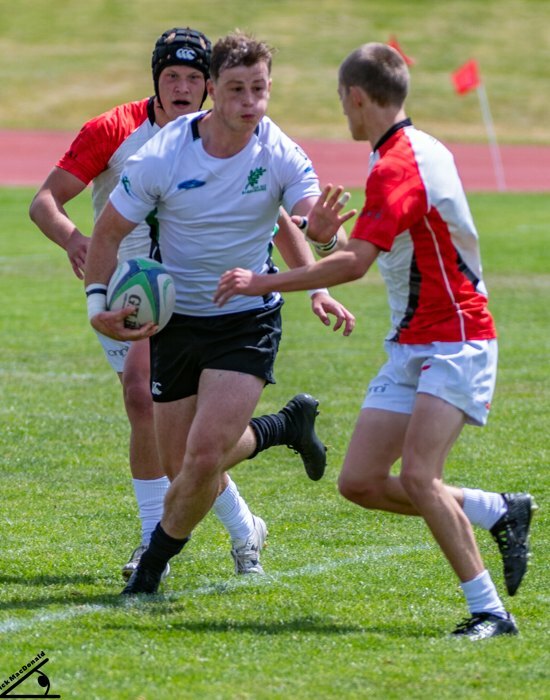 The BC Bears Senior Men’s Team hosts England Counties XV on June 3rd at Klahanie Park (Capilano RFC) in West Vancouver. Kickoff is at 7:00pm. High School students get in FOR FREE when presenting their school ID. For adults, tickets cost only $10 and are available at the gate on game day. VANCOUVER — If Hollywood ever gets around to shooting a re-make of the 1977 hockey classic Slap Shot, the casting call needs to come north to the classrooms, hallways and playing fields of Vancouver’s Prince of Wales Secondary School. That’s because if you’re looking for three actors to play the roles of the movie’s hockey-playing Hanson brothers, there would be none better-suited than real-life Grade 11 triplets Broden, Kael and Dace Norman.